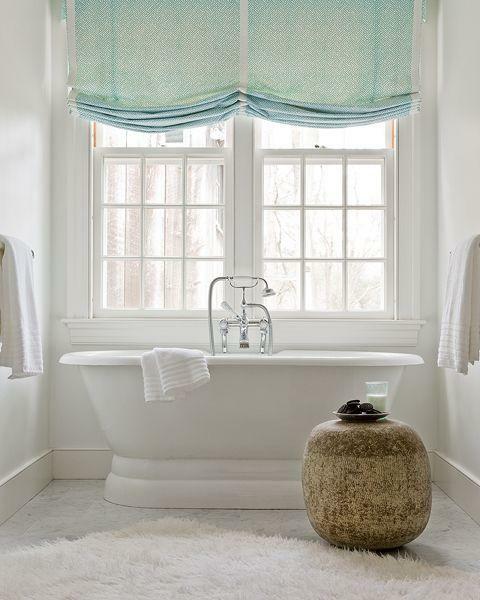 Drapery window treatments are charming and very attractive, but simple roman shades can be as beautiful as other window decorating ideas. 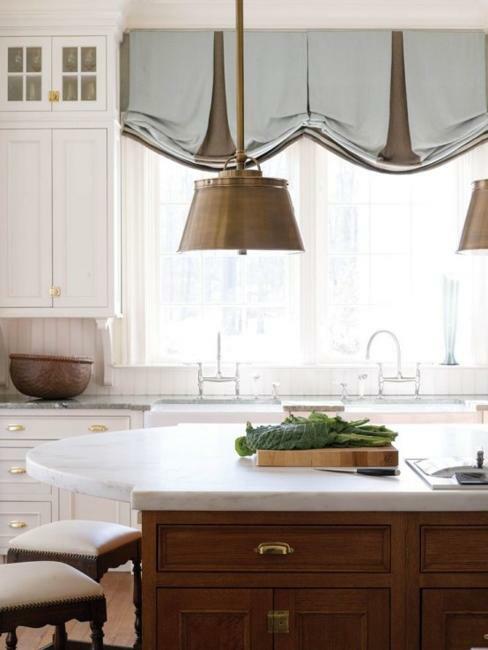 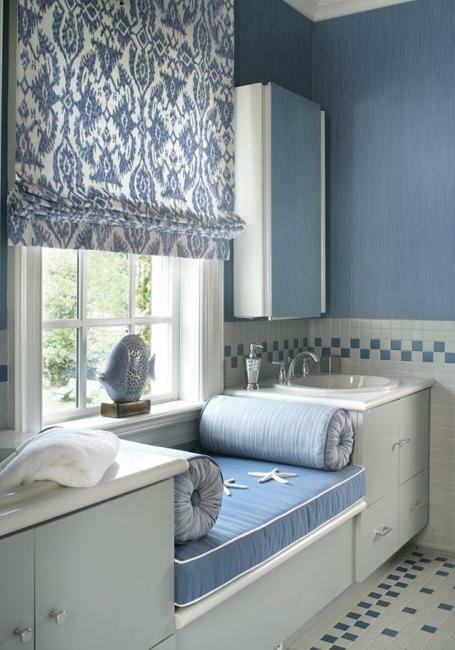 Draperies are not practical in bathroom and kitchen interiors, and cost too much. 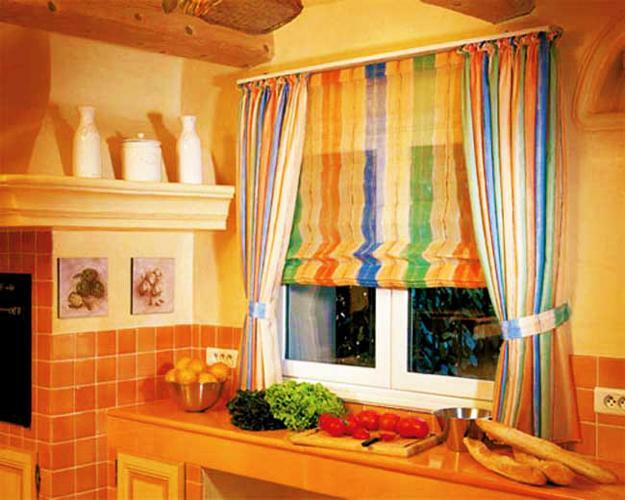 Decor4all collection of roman shades proves that kitchen and bathroom decorating with fabric roman shades can be absolutely beautiful. 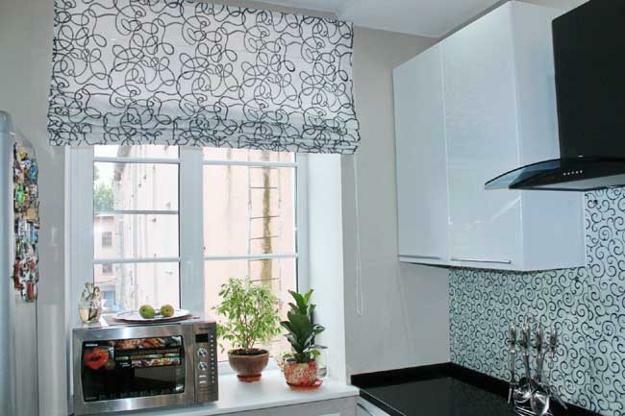 Fabric Roman shades can give similar shapes, textures and decoration patterns to modern bathroom and kitchen interiors, but without much troubles and expense. 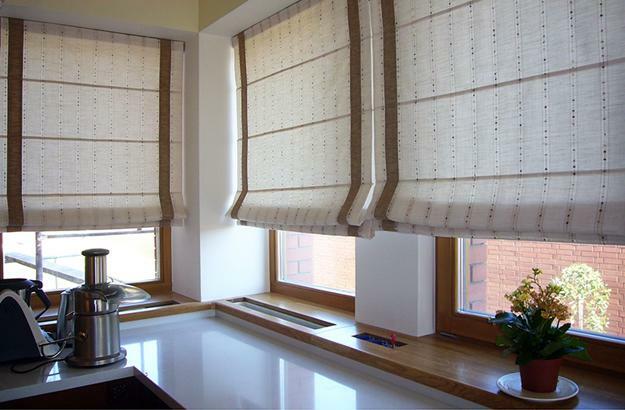 A combination of one big window treatment complemented with fabric roman shades gives a spectacular coordinated look for less money, while providing privacy and offering convenience of roman shades. 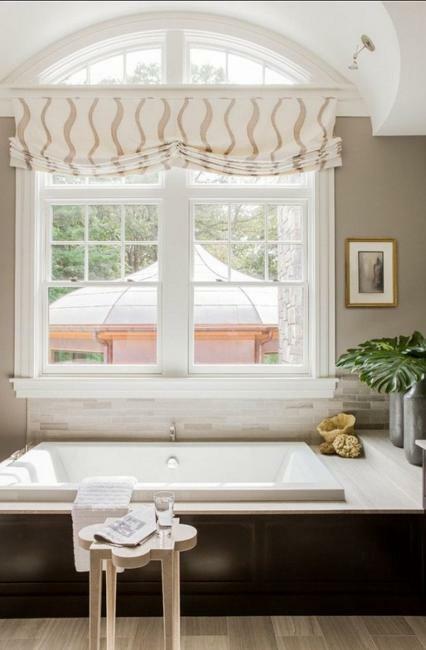 Roman shades in one style used in various combinations with curtains in every room, bathroom and kitchen interiors make interior decorating look elegant and sophisticated. 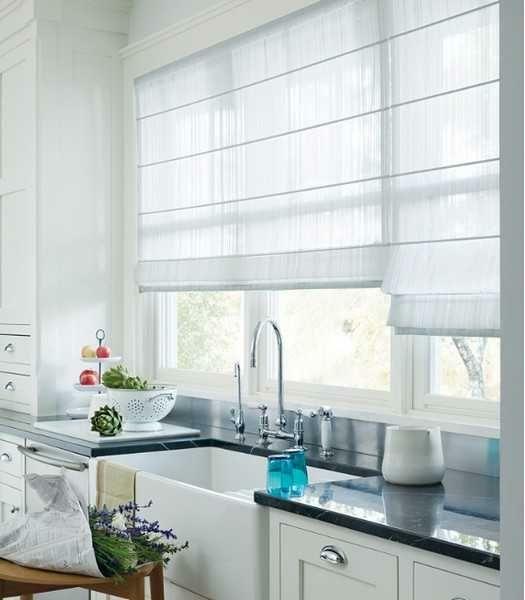 Fabric roman shades blend functionality with classic simplicity and contemporary feel that work well for any room, including kitchen and bathroom decorating. 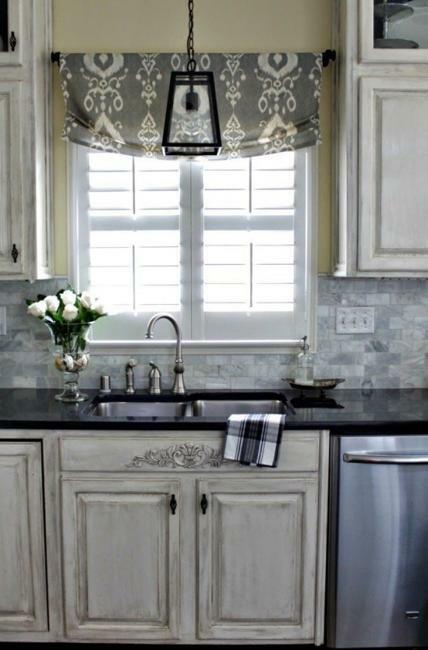 Fabrics roman shades soften and romanticize bathroom and kitchen interiors. 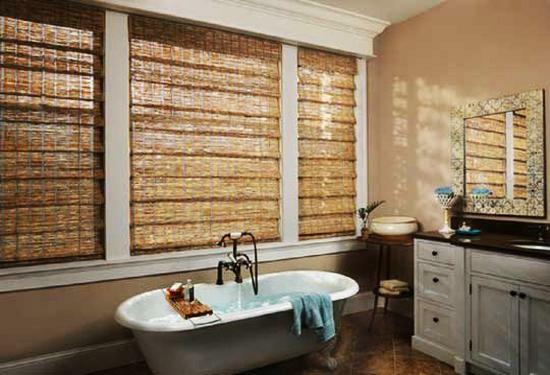 Roman shades have a wonderful ability to control light and offer privacy creating bright and comfortable home interiors. 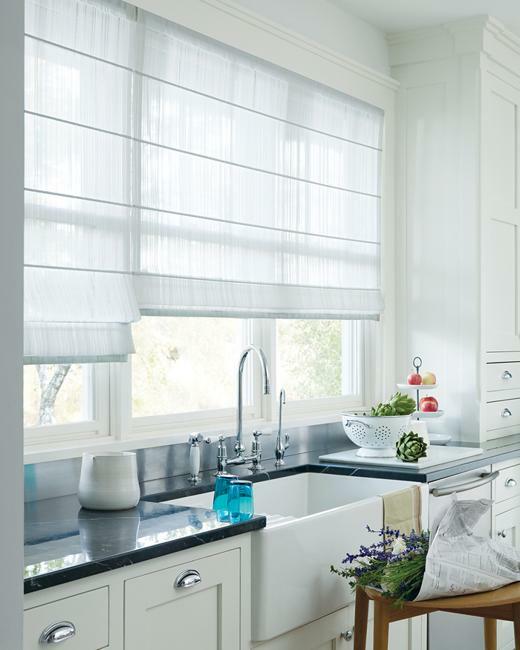 There are three models of fabric shades to consider: light-filtering, room-darkening, and insulated, offering a variety of choice for every home decorating. 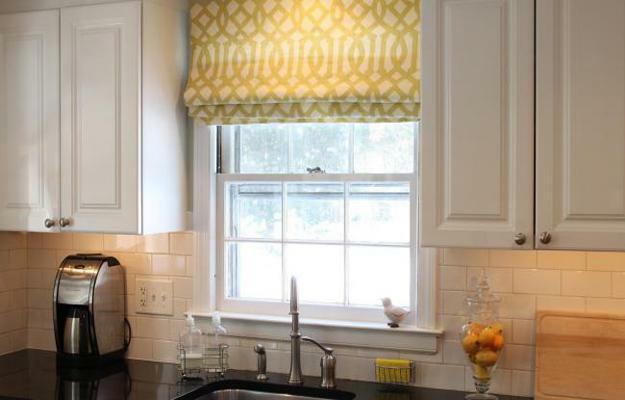 All this versatility comes in beautiful fabric roman shades which add color and decoration patterns to match existing decor colors. 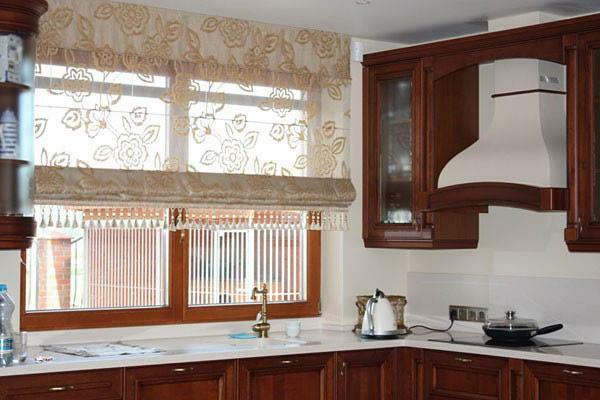 Modern kitchen and bathroom decorating with fabric roman shades is truly wonderful, attractive, functional and satisfying. 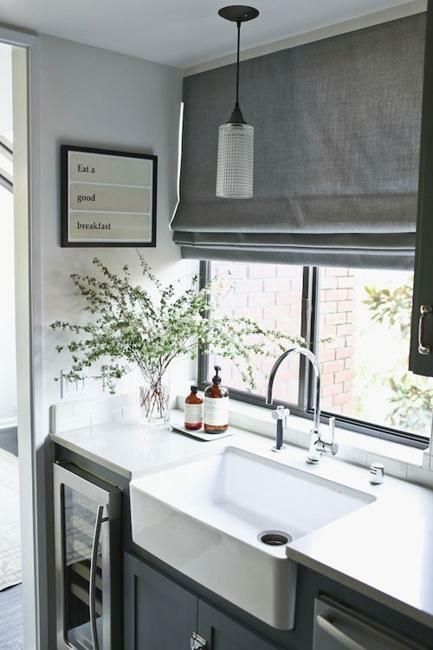 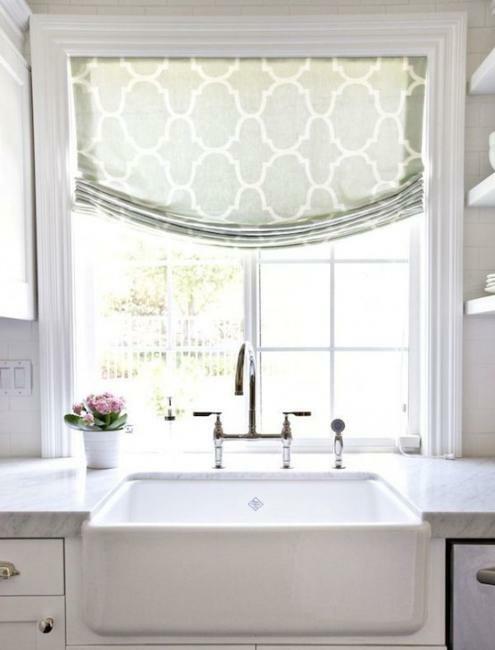 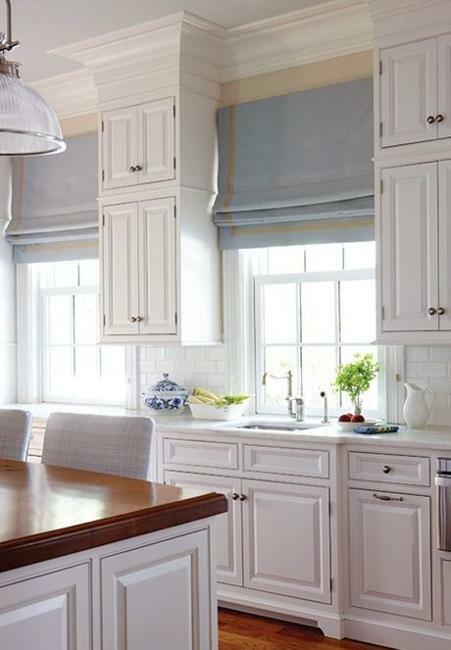 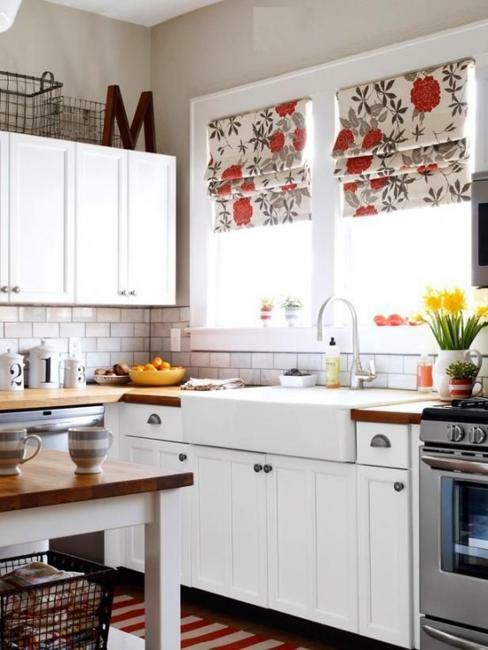 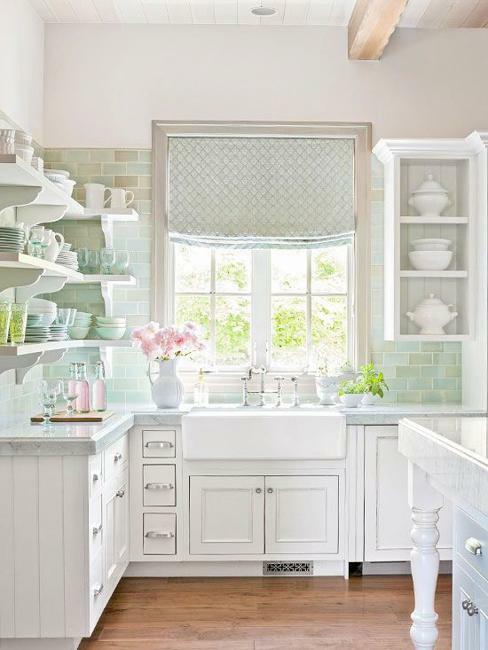 These window treatment ideas are perfect for bathroom decorating and make kitchen decor look contemporary and stylish.